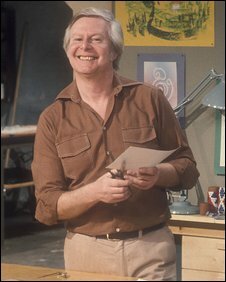 Tony Hart, who has died at the age of 83, was an iconic and much-loved figure for millions of budding young artists who tuned into his BBC art shows for nearly 50 years. 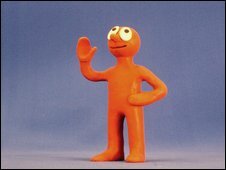 He received two Bafta awards, won a lifetime achievement award in 1998, gave a TV platform to Morph - the clay character with the incoherent babble - and also created the original design for the Blue Peter badge. Born in Maidstone, Kent, Hart was passionate about drawing from an early age, and at his independent school - Clayesmore in Dorset - art was the subject he did best in at school. He left school in 1944, but his ambition to join the RAF was thwarted by slightly deficient eyesight. So he joined the Gurkhas for the latter stages of World War II, before studying at Maidstone College of Art. Hart graduated in 1950 and soon became a freelance artist. His career did not take off immediately, and he later admitted to drawing murals on restaurant walls in exchange for meals. But it would not take long for him to move into television. He met a BBC children's TV producer at a party in 1952 and, following an interview, demonstrated his talents by drawing a fish on a napkin. He became resident artist on Saturday Special, subsequently appearing on Playbox and Titch and Quackers. 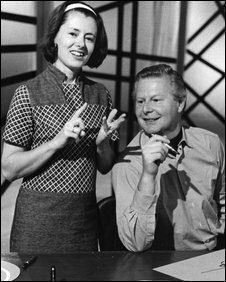 In 1964, he fronted Vision On, which was intended for deaf children, and by the time Take Hart arrived in 1978, colour television gave his programmes added punch. His kindly, avuncular manner was a key feature of the programmes, and advances in technology allowed his remarkable range of ideas to bear full fruit. In one show he could barely contain his enthusiasm for marker pens, adding: "When I first started we just used black chalk and white chalk on grey paper." And his creative spirit once led to him painting an elephant in whitewash on an airfield. Often he appeared to be having as much fun as if he himself was still six years old. Hartbeat (1985-1994) often attracted 5.4 million viewers and Hart received between 6,000 and 8,000 drawings and paintings through the post every week - the best of them would be pinned to the walls of his studio. His career continued with his final series, Smart Hart, where he shared the studio with a young Kirsten O'Brien, and that kept him in work until his retirement in 2001. After the death of his wife Jean, he spent his final years in a cottage dating back to the 15th century, deep in the Surrey countryside, in the picturesque village of Shamley Green. Drawing, he said, had been his "lifetime passion", and he explained how much his life had changed. "Today my studio lies abandoned and I spend most of my day confined to my chair." Until his late illness, he still painted in a studio built into his garden, "until 4pm when I would change my shoes and set forth on a four-mile Gurkha-pace jog through the Surrey hills". He is survived by his daughter, Carolyn, and two grandchildren.